Quantitative Systems Pharmacology is still in its infancy, but has tremendous potential to change the way we approach biomedical research. QSP is really the integration of two disciplines: 'Systems Biology' and 'Quantitative Pharmacology'. This book gives the reader insights into the more mechanistic aspects of resistance and the analyses behind the interpretation of resistance. The book provides a guide to those aspects of resistance that have the greatest impact on clinical care. Contents: Scope of Toxicology; Risk Assessment; Targets and Bio-Transformation; Toxicokinetics; Hemato- and Vascular Toxicity; Dermatotoxicity; Neurotoxicity; Hepatotoxicity; Nephrotoxicity; Techniques In Vivo and In Vitro; Pulmonary Toxicity; etc. Since the advent of analytical techniques and capabilities to measure nanometer particles, there has been tremendous interest in the use of nanoparticles for drug delivery. This book collects reviews and original articles from eminent experts. This book is a survey of, and evaluates, analytical tools used to determine equilibrium effects of the interactions between ligands and receptive units as obtained from dose-response experimentation and from combinatorial drug therapy. All the basic concepts of pharmacokinetics are described, with an emphasis on understanding what parameters such as bioavailability and clearance tell us about the behaviour of a particular drug. The use of PKs in a drug developments covered. This book contains an overview focusing on the research area of enzyme inhibitors, molecular aspects of drug metabolism, organic synthesis, prodrug synthesis, in silico studies and chemical compounds used in relevant approaches. The book provides simple, practical solutions to the questions and problems faced by medical staff, using the accumulated field experience, the recommendations of reference organizations and specialized documentation in each field. The publication, Approved Drug Products (commonly known as the Orange Book), identifies drug products approved on the basis of safety and effectiveness by the Food and Drug Administration (FDA) under the Federal Food, Drug, and Cosmetic Act. This book provides an introduction to the physiochemical and mathematical principles underlying the practice of pharmacy. 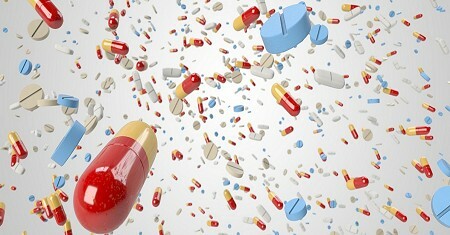 The emphasis on new dosage forms and controlled delivery systems, problems and worked examples are some of the features.